Welcome back to our #BLPLearn blog series, where we offer a monthly look at design and technology as it pertains to learning and development. I’m your host, Jake Huhn—Senior Marketing Technologist at Bottom-Line Performance. There is a lot of talk in the L&D community about microlearning and for good reason. But outside of the training world, the Internet is abuzz with a different “micro” term: micro-moments. That’s because back in 2015, Google shared a slew of new research about micro-moments. Much like in 2011 when Google pitched the “Zero Moment of Truth” concept, this new research sets out to be a game changer. It turns out that the research Google has done to help serve its interest in the marketing world is extremely relevant to our own industry. Our learners are essentially our consumers. That’s why “Learner Personas” (modeled after “Buyer Personas”) are such an effective technique. The data surrounding this concept is compelling, to say the least, and it has so many implications for the L&D community as we adapt to the increasing mobile landscape. 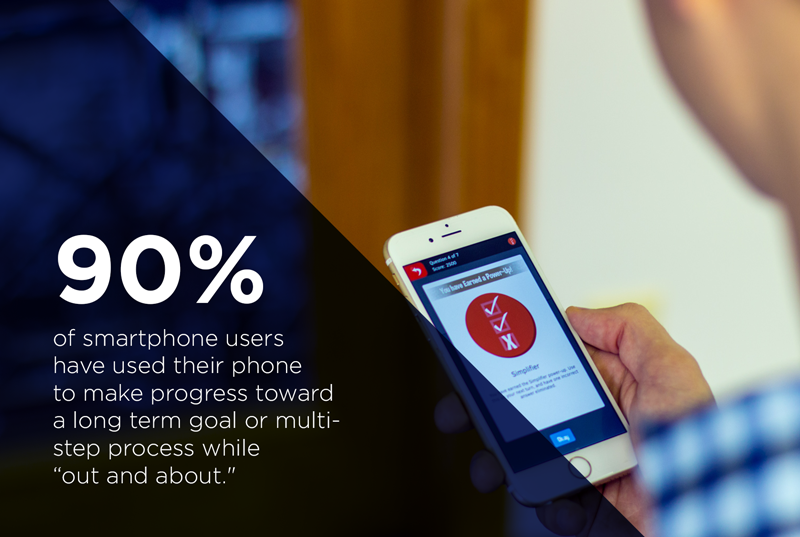 According to the report, 62% of smartphone users are more likely to take action right away toward solving an unexpected problem or new task because they have a smartphone. I encourage you to read through this introduction to micro-moments on ThinkWithGoogle.com. This has big implications for how we use mobile and microlearning in training. It is important for us to realize that these micro-moments are already ingrained in our learners’ behavior. Many of these micro-moments happen on the smartphone, and the research shows that people are using them to solve problems, find information, and reach goals. When done correctly, microlearning enables and encourages micro-moments. And since learners increasingly want and need a “micro” experience, mobile learning is no longer an option; it’s essential. Mobile learning solutions should be implemented not just because they are convenient or trendy, but because mobile is now part of everyday life. Your learners are the same consumers that Google is trying so hard to understand, and micro-moments are how they make decisions and seek out information.